Simple Guide – How Do I Get Netflix On My TV? 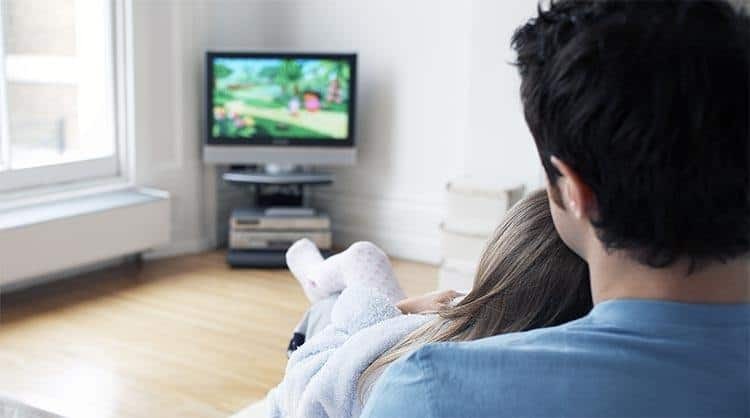 » How Do I Get Netflix On My TV? Arguably the world’s most popular modern way of watching television, Netflix has taken the world by storm through its on-demand service and limitless library of old and new content. With over 100 million subscribers, anyone who isn’t in on this goldmine of cinema and televised programming will surely be itching to do so the first chance they get. How does Netflix even work? Like with many new technologies that become so seamlessly integrated into society it can appear daunting and intimidating to those unaccustomed. For some people, it was already enough of a hassle to install their satellite service. Perhaps some are withholding on installing and registering for Netflix because they fear it will be just as complicated. Luckily, this is far from the case. Downloading and integrating Netflix into your computer, smart TV, or other compatible device is very simple. In fact, it should be attributed to the company’s overwhelming success. If you’ve ever had any fears or uncertainties about the nature of Netflix and setting up an account then please lay all of those fears to rest for good. Television has seen some major changes in the past few years. Starting with cable, then satellite and now moving its way to digital or online platforms, Netflix is leading the charge that is bringing TV into this new era. But some confusion still remains as to Netflix’s status and categorization as a service or even as a platform. Is it more like cable TV or more like Youtube? Is it a channel, a broadcaster, or what? To put it as simply as possible, Netflix is an online-only streaming service. There are other online streaming services, but Netflix is by far the most popular one. This means the content that is viewed from Netflix cannot be downloaded directly onto your computer or smart TV’s hard drive. Episodes or movies must be accessed via the Netflix program or application itself and sent to your screen through an online connection. In other words, internet access is mandatory in order for Netflix to function on most devices (you can, for example, download content on your phone for offline viewing). 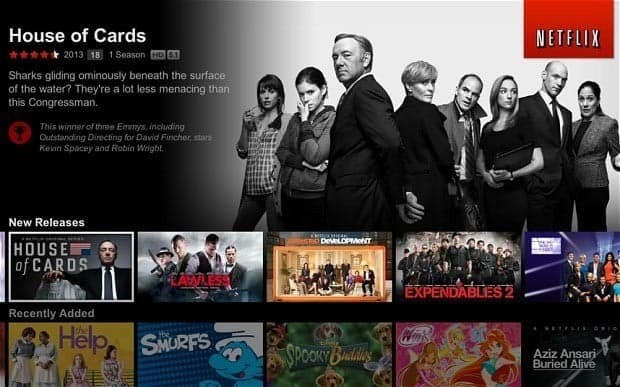 Unlike radio, cable or satellite TV, Netflix does not run on any set or fixed schedules. You decide what you want to watch when you want it. In this sense, Netflix has more in common with Youtube than typical methods of watching television, although Netflix offers conventional televised programs and movies for a price instead of privately uploaded videos created by users that are free to watch but loaded with advertisement disruptions. Netflix’s convenience also works with a diverse line-up of compatible devices. Many generally opt for using their personal computer, laptop or smart TV to use the service, but odds are you own even another device that can stream Netflix. Game consoles such as the Playstation 4, the Xbox One and even the Nintendo Wii U and 3DS systems support the Netflix app. Mobile products including the iPad, iPhone, and any Android device allow for portable usage, and of course, there’s the ever-growing number of TV companies making their hardware compatible with the Netflix software (like the amazing Samsung 4K Smart LED). Subscriptions to Netflix cost only $5 a month for a “basic plan”, making it a steal of a deal in comparison to most, if not all, cable and satellite plans. All one needs to do is head on over to Netflix.com and register themselves by creating an account using an existing e-mail address and corresponding payment option, usually a credit card or a Paypal address. One thing all newcomers to Netflix ought to be aware of is that the first month is entirely free of charge. All users who first sign up with Netflix acquire this free bonus as a way to test drive the service. You can cancel your membership at any point within the first 30 days. If after that point you still have not canceled then Netflix will consider that as your decision to continue using the service and will charge you monthly. Take this opportunity to get a feel for the website. Check out the catalog, or as much of it as you can. Use the search bar in the top right corner to search for movies or programs you planned on watching. Look up genres such as Crime TV or thriller or Action to see if anything piques your interest. Netflix even provides recommendations based on what you’ve watched and what you’ve rated as your favorite choices, making it even easier to find new things to watch. Netflix also has a “family sharing” feature that allows multiple users to share one account. Access to this feature is only available to those who pay for the “standard plan” which is by far the most common method users opt for. This feature is very convenient for roommates or families that have different tastes and watch programs separately. Each family account shares the same overall payment meaning that multiple new users don’t need to pay their own subscription fee. The standard plan also gives access to 1080p resolution, while the basic plan only goes up to 480p, which is roughly one fifth the quality of full HD. More interestingly, it allows for each different user account to have personalized bookmarks and recommendations that don’t conflict with one another. You’ll be able to pick up where you left off, and so will those sharing the service with you. There is a maximum of two active accounts at once, so you won’t be able to share your login information with friends all over the place and have 20 different people mooching off of you, though. Accessing Netflix will differ depending on what device you are using. The most common way is to log into your account on a computer through Netflix’s website. This method requires no downloading as the site will give you total access to the Netflix servers and their database. Wireless wifi connections and wired ethernet connections will both work, although we do recommend going the wired route. Wired connections are more stable, less prone to connection drops and generally offer greater data speeds, meaning that Netflix will load faster and have less buffering interruptions. If you happen to be using Netflix from a portable device such as an iPad, you will have to download the official Netflix app. 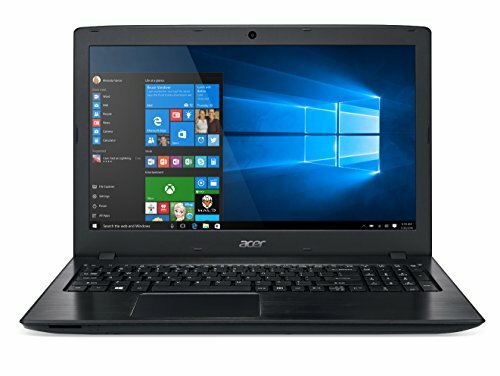 This application was specifically designed for devices such as portable tablets or even smart TVs that don’t have the best internet browsing capabilities of computers with faster CPUs. The download of the app itself is generally quite small and is very easy to integrate. Portable devices, however, tend to not have ethernet ports, meaning that you will have to use a wifi connection to use Netflix. If you have a good router and good ISP service then you’ll have nothing to worry about, but those who don’t will have to keep in mind that they’ll be sacrificing dependable connection for the convenience of portability. Smart televisions are quickly becoming the most preferred way of watching Netflix, and there are many good reasons why this is the case. The television screen in the living room is still considered to be the authentic and classic experience for watching movies and shows, not the 20-inch computer monitor in the basement. Realizing this, many television manufacturers have enabled their sets to be compatible with Netflix by having a built-in app. 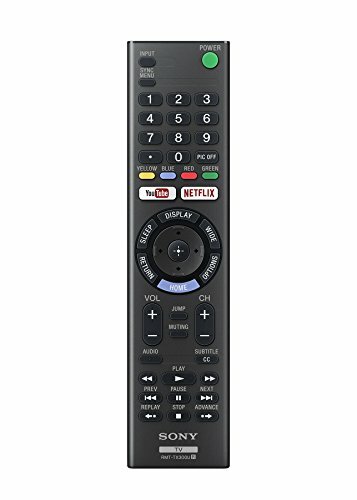 The convenience factor has been maximized so much that companies like Sony even have remote controls that sport their own Netflix button. Check out our recommended Smart TVs guaranteed to stream Netflix in 4K! If you own a smart TV then the process for getting Netflix setup has been made even easier for you. Smart TVs generally come with both an ethernet port and wireless connectivity. Pick whichever connection suits you best based on your home’s circumstance. After your TV has established a connection to your router, activate the Netflix app and sign into your account. It is very easy to know if your television has the Netflix app already built in. For one thing, your remote will probably have a Netflix button on it. You can also just go online and check for Netflix compatible TV sets and brands. Netflix’s own website has its own mini-guide that helps describe the compatible Smart TVs, both the companies and the model IDs, with the app already pre-installed. Sony, Hisense, LG, Samsung, Panasonic, Sharp, and Toshiba are just some of the companies that are selling Netflix compatible smart TVs. Another benefit of using Netflix on a smart TV is the 4K resolution compatibility. While not all new television sets go beyond 1080p, 4K sets are becoming more and more affordable, and more of them offer Netflix streaming. If you’re willing to pay extra for their “premium plan” you can sign up for Netflix’s 4K streaming program. The options are relatively limited, but growing. 4K is also, as the name implies, four times the quality of full high definition (8 million pixels versus 2 million pixels) which means that you’ll need an internet connection capable of streaming four times the file size. If you don’t have a smart TV yet, or at all, there’s no need to fret if you wish to view Netflix on a large screen television set. Many options are available to achieve this, even if they aren’t as streamlined or convenient. Two popular options exist: connecting your TV to either a laptop or a gaming device. Both options will require you to own an HDMI cable. If you go for the laptop option, access the Netflix website and play your movie or show as you normally would. Then after that, all you need to do is connect your laptop to your TV via the HDMI connection. Make sure your television’s display setting (often called “source” on the remote control) is set to the correct HDMI port. Odds are you have at least two of them. Your television will now be displaying whatever is on your laptop, acting as a larger mirrored screen. Audio should also automatically be coming from your TV speakers but in case they aren’t, right-click on the loudspeaker icon in the lower right-hand corner of your taskbar and click on “Playback Devices.” Select your TV and assign it as the “Default Device” and now audio will play from your TV’s speakers instead of your laptop’s. If you have a gaming console that is Netflix compatible (Playstation 4, Nintendo Wii U, Xbox One), download the Netflix app from the online store. This download is completely for free and requires no extra payment. Sign in using your email address and password and you’re ready to go. Keep in mind that all of these gaming consoles offer Netflix in all regions except for the Xbox One, which is limited to about 20 or so countries. The Xbox 360 also streams only up to 720p, which is technically half the quality of 1080p. 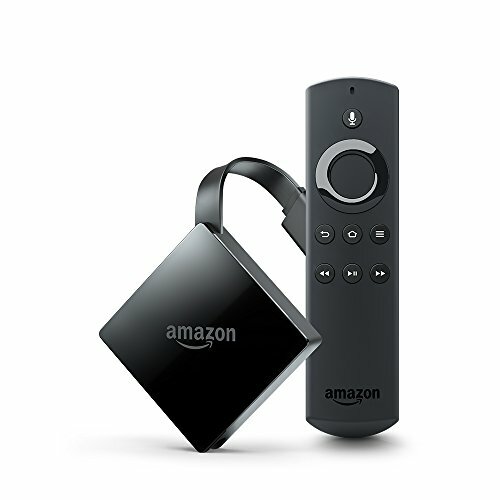 A less common but growing method to use Netflix is multimedia devices such as the Roku TV and the Amazon Fire TV. These boxes act as a middleman between your television and your internet router, allowing access to a variety of apps. They basically turn your television into a Smart TV, albeit having all of the “smart” features located on an external device. People opt for this option as it’s cheaper than upgrading to a full-on smart TV. It’s very easy to set up, much like connecting a gaming console to a television. First, connect your TV to your multimedia box of choice using an HDMI cable. Then using either ethernet or wi-fi connectivity, connect your Roku or Amazon box to the internet and download the Netflix app. Sign into your account and you’re ready to roll. Check out our recommended Android TV Boxes guaranteed to stream Netflix in HD and 4K! One of the great things about Netflix is how diverse the number of options is in terms of accessing the service. With three different payment plans, access across multiple regions of the world and the ability to be used on televisions both old and new, personal computers and laptops, gaming devices and more, Netflix is accessible and convenient to just about anyone you can imagine. We hope our guide has informed you of the basics of the service and has eliminated any apprehensions you may have once held.